Quality information for a more pleasant wait and better orientation. 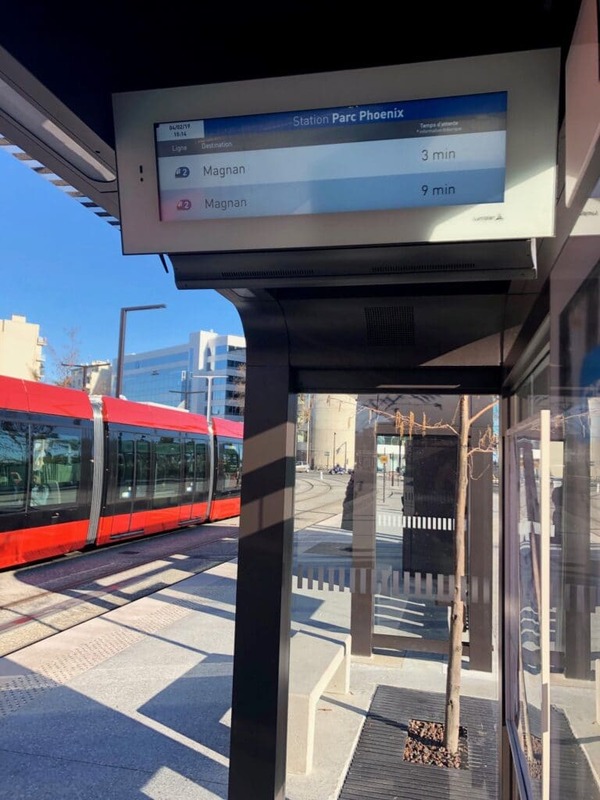 Armed with information on the next arrivals and connections at the stop, or on possible disruptions to the service, passengers are better able to plan their wait and optimize their journey. Lumiplan information terminals feature a rugged, modern design that blends in perfectly with the urban landscape at their location. They can be installed on masts, posts, as upright displays or on bus shelters powered by public lighting mains, solar energy, or batteries. Connectivity-wise, they are highly versatile: 3G, 4G, Tetra, Radio, or Ethernet interfacing with existing operating assistance and passenger information systems. An audible announcement module can be easily included in Lumiplan terminals.